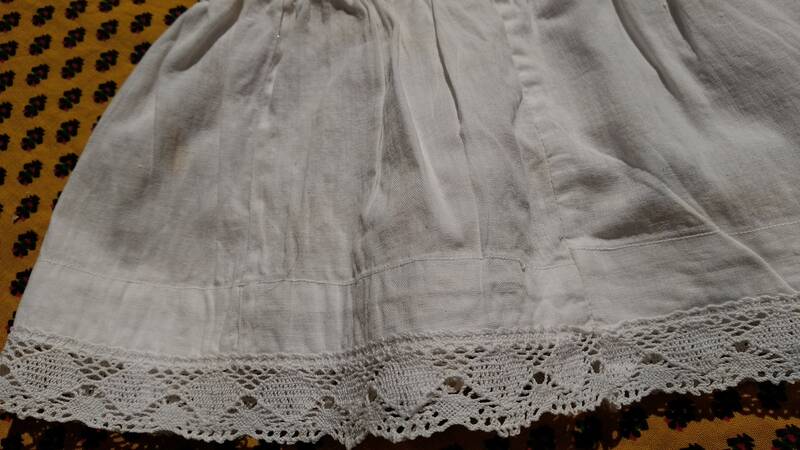 Antique white hemp and cotton under dress slip handmade lace trim . 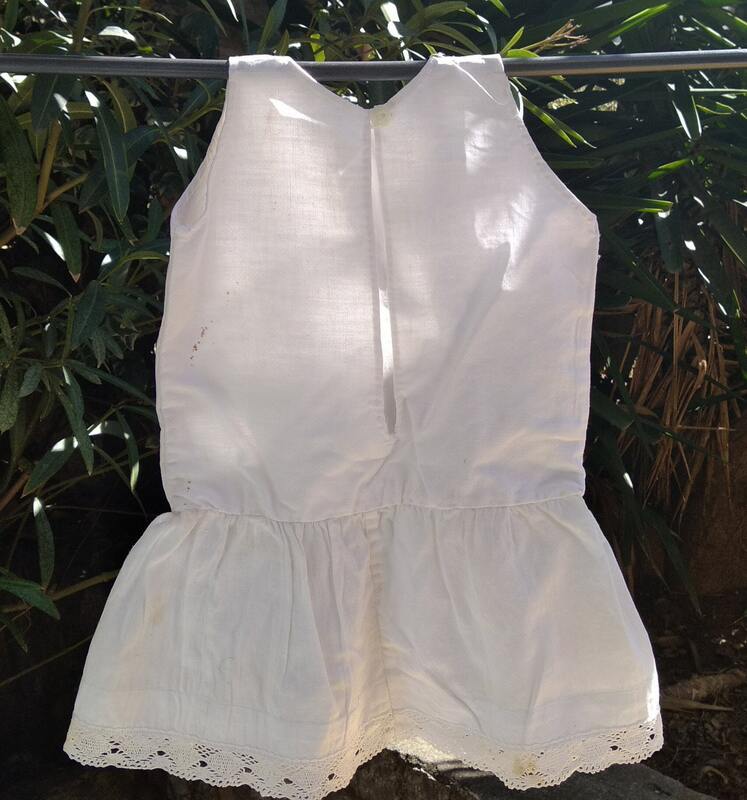 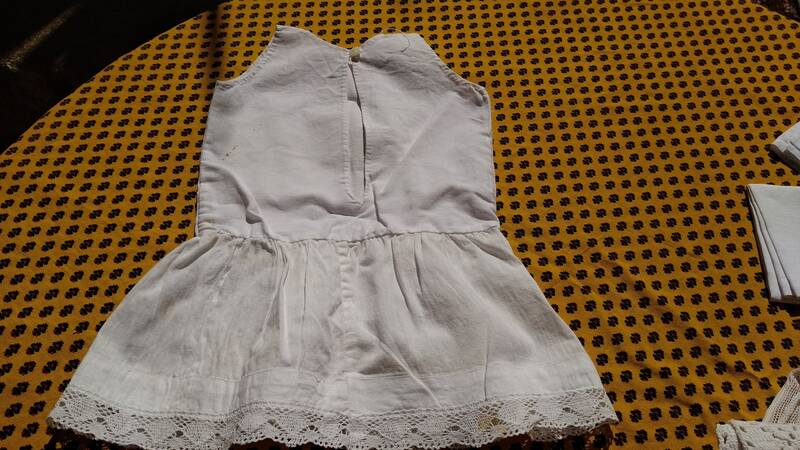 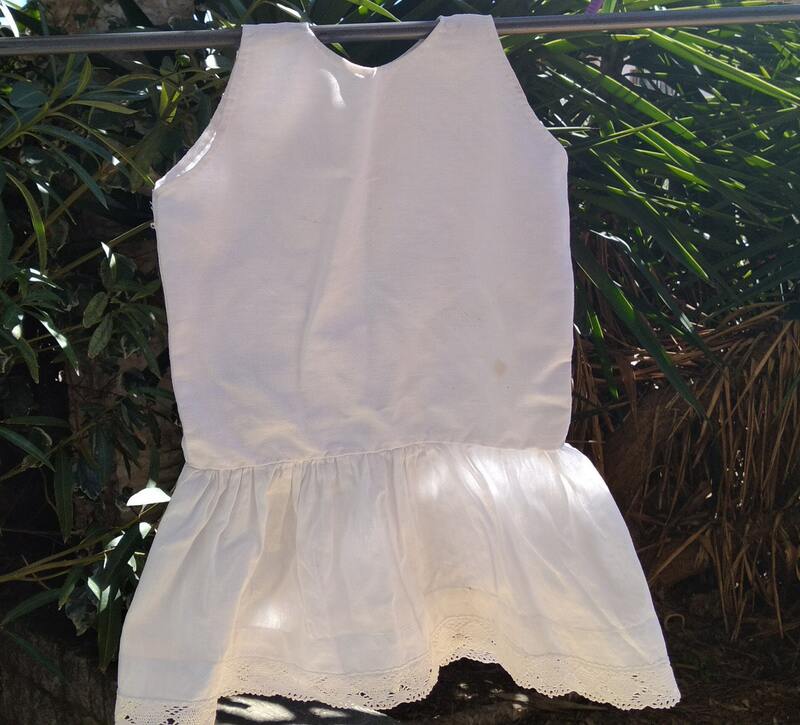 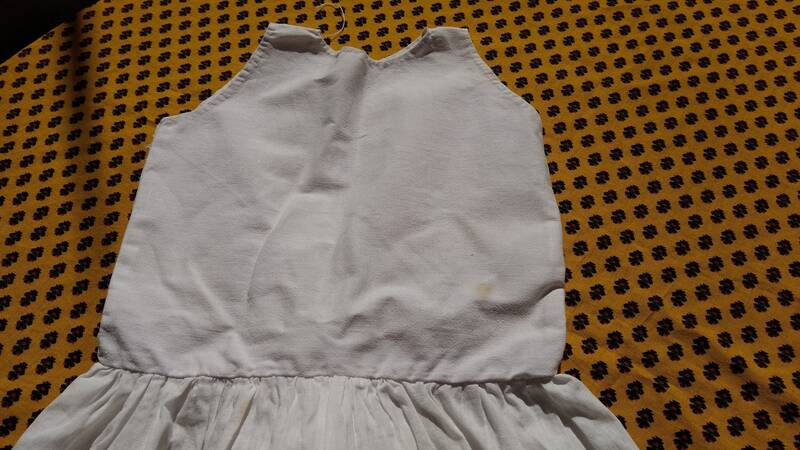 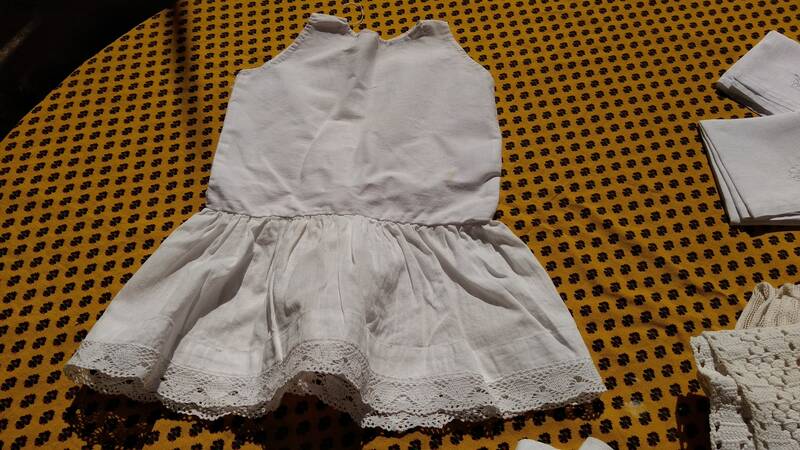 French under dress (slip) for a 2 years old Girl or Doll please check measurements. 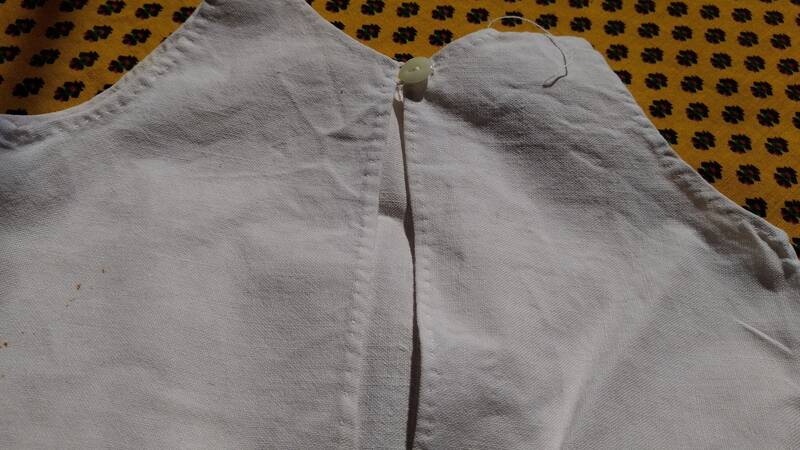 One back milk glass button. 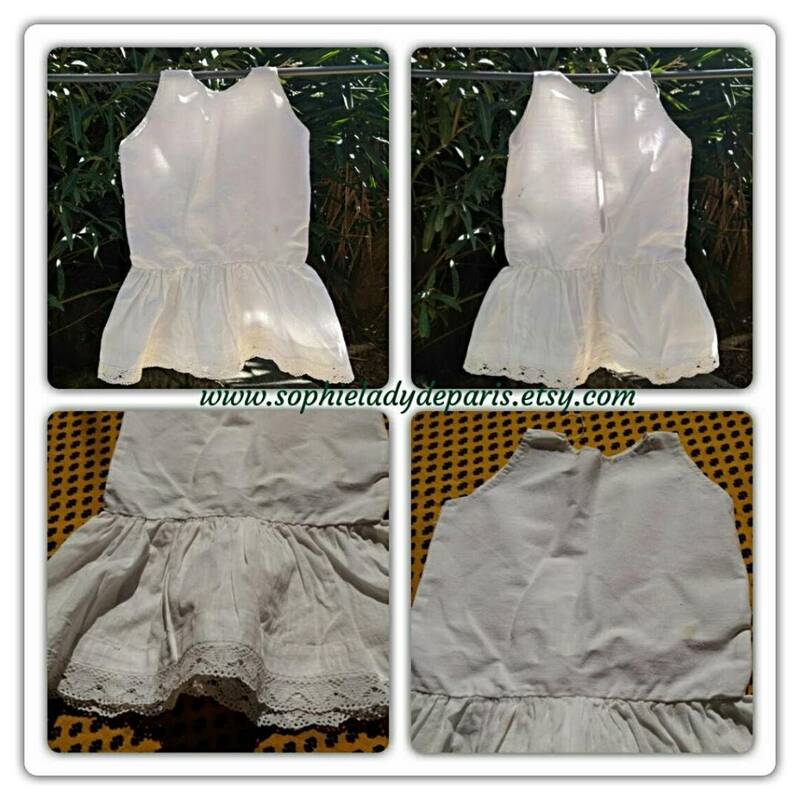 Good vintage condition, rust stains. 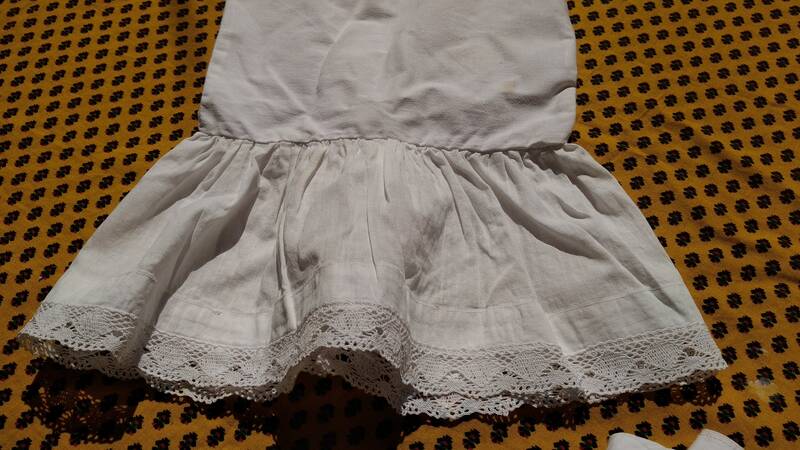 Lovely dress to keep as collectible or for costume or to dress a doll !